Dump It, Drink It Report, October 1996. A campaign which included a leaflet and superb poster by Joe Walls and supported by the Department of the Environment to highlight the adverse affects of dumping in caves. Ireland has traditionally been thought of as having plenty of uncontaminated water supply. However, the karstic areas have always been problematic because of the lack of surface water and the high proportion of failed wells due to the localisation of flow in cave systems. Increasingly, another problem is being added to the difficulties of supply being faced by thousands of Irish Families and households who depend on ground water – water quality. The problems of polluted water are perhaps more obvious to the caver than to the general public who more often than not accept what is coming out of the ground as pure and unrelated to what happens at the surface or what disappears underground. Most people are unaware that sinking water rapidly travels and can rise again many kilometers away in a matter of hours or days, moving through fissures or cave passages. 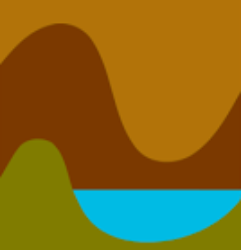 Such flow routes generally offer little or no filtration or purification and so water supplies in karst areas are highly vulnerable to pollution. There are three sources of water contamination in cave areas; septic tanks, dumping and agricultural activities. In those areas in the West of Ireland for example, where drinking water is vulnerable to pollution approximately 650,000m3 of septic tank effluent is discharged underground each year (1989 figures). Septic tanks act primarily as settlement chambers and do not reduce the polluting power of the effluent significantly. In virtually all cases the effluent leaving the tank is discharged into the ground via a soak pit* rather than a pipe distribution system. Soak pits tend to be deep, often penetrating the thin layer of soil and discharging directly into the rock. This rapidly enters the water table from where wells draw water. *Pipe distribution, on the other hand, tends to maximise the absorption of the overlying soil and thus makes it more efficient in treatment. Although the levels of agricultural activity in caving areas is generally low, there sometimes can be severe problems due to the inadequate management of agricultural wastes. The main sources of pollution are manure, slurry, farmyard run-off and silage effluent. The increased tendency to over winter in farmyards has tended to centralise wastes in small areas with consequent problems of waste control and disposal. The dumping of rubbish which has been found to include babies nappies, batteries, chemicals, rat poison, weed killers and dead farm stock has also been found close to or at cave entrances. All of which will contaminate the ground water and. You could be drinking this! If you suspect dumping, or come across an illegal dumping ground contact your county council with a view to getting it cleaned up. Illegal dumping can lead to heavy fines and prison sentencing. This report has been produced by the Speleological Union of Ireland which represents the interests of cavers throughout the country out of interest to protect our environment with financial support from the Department of the Environment. 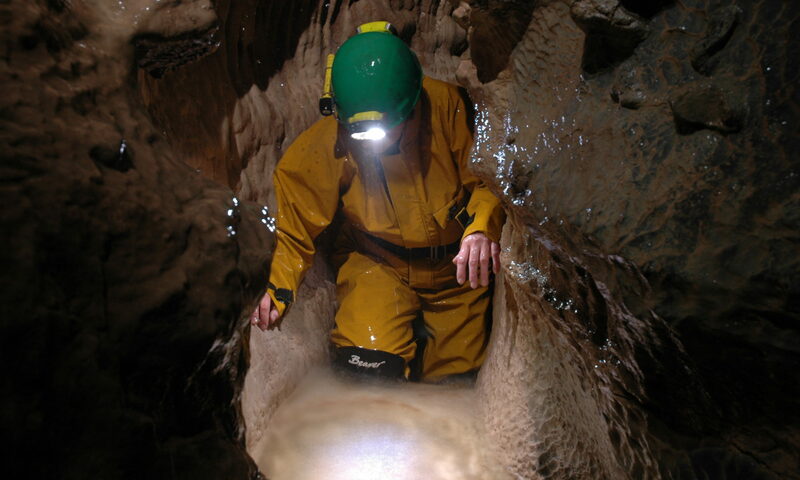 This article was adopted from Richard Thorn and Catherine Coxon’s paper titled ‘Groundwater Quality in Karst Areas of Ireland’ which was published in Irish Speleology No. 13 1989.